Vehicle vector image of an old horse trailer. 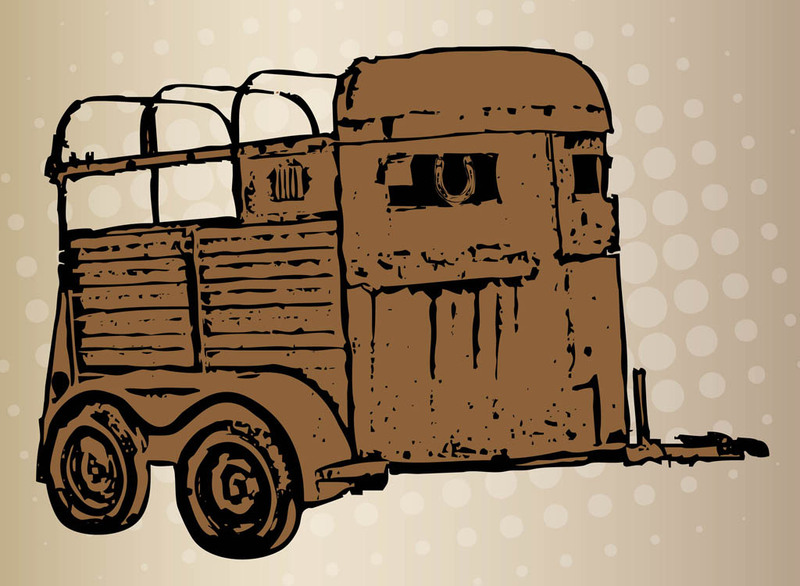 Sketched from a low angle, this trailer design is great Illustrator footage to use for your animal transport, travel, jumping, farm, agriculture or Wild West design themes. Tags: Box, Farm, Horse Van, Jumping, Sketch, Transportation, Vehicle, Vintage.